What Is The Proper Children's Motrin Dosage? Motrin is a non-steroidal anti-inflammatory drug (NSAID) that works by decreasing hormones that cause pain and inflammation in the body. It is commonly prescribed to reduce fever and treat inflammation or pain that is caused by a number of conditions including arthritis, back pain, headache, menstrual cramps, toothache and minor injuries. Motrin is prescribed for both adults and children who are aged 6 months and older. Ibuprofen is the generic name of the drug and the most common brand names for the drug are Motrin and Advil (1). For children, it is available in different forms – in the form of a liquid, oral suspension or chewable tablets. In some countries, it can be bought over the counter as rectal suppositories under the name Nurofen (2). Motrin is available for children under the names Motrin Infant Drops and children’s Motrin Oral Suspension. When children have colds, fever or minor injuries, a low dosage of Motrin can help them feel better. As with all drugs, it is important to make sure that children are given the correct dose. As long as you use it correctly, it is completely safe. However, it is important to remember that taking too much can make a child seriously ill. Overdosing can lead to intestinal or stomach problems, which, in some cases, can become fatal. Children who are allergic to aspirin should not be given Motrin (3). What Is The Proper Children’s Motrin Dosage? As mentioned earlier, kids Motrin can be taken in the form of liquid or chewable tablets. To ensure that it is safely taken, the proper dosage is important. The correct dosage is given based on a child’s weight (4). 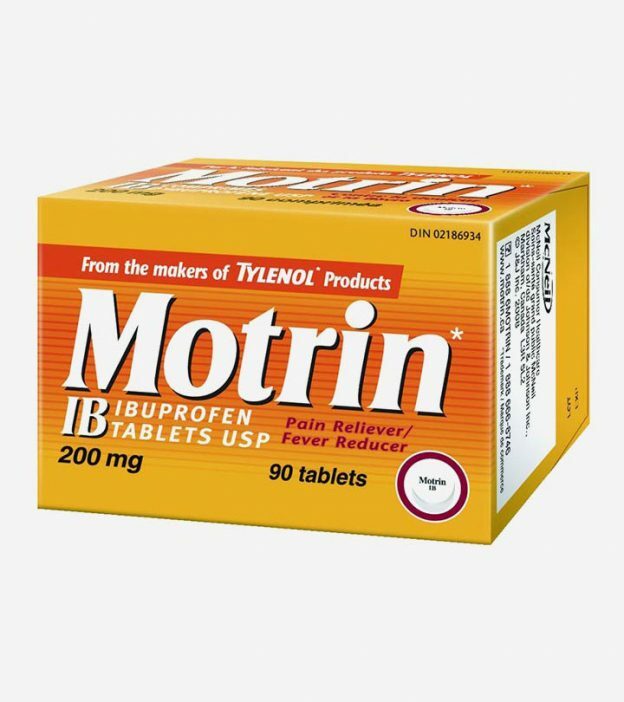 It is also important to know how much of ibuprofen is present in a tablet (or a teaspoon, 1.25 ml or 5 ml) of Motrin. The label will give you all the information you need. The label in Motrin chewable tablet packs will have information about how many milligrams are there in each tablet, e.g. 50 mg per tablet. For liquids, the label has information about how many milligrams are there in 1 teaspoon, 1.25 ml or 5 ml. For instance, the label may say 100mg/1 teaspoon or 5ml or 50mg/1.25ml. For syrups, you should use a dropper, dosing syringe or measuring cup. You may get the measuring device with the medicine and if you do not, you can ask your pharmacist. It is important to remember to clean out the device after every use. For infant drops with 50mg/1.25ml written on the label, you should give your child a dose of 1.25 ml. For liquid with 100mg/1tsp written on the label, you should give your child a dose of half a teaspoon. For liquid with 100mg/5ml written on the label, you should give your child a dose of 4 ml. For infant drops with 50mg/1.25ml on the label, give a dose of 1.875 ml. For liquid with 100mg/1tsp on the label, give a dose of a ¾ teaspoon. For liquid with 100mg/5ml on the label, give a dose of 4 ml. For infant drops with 50mg/1.25ml on the label, give a dose of 2.5 ml. For liquid with 100mg/1tsp on the label, give a dose of 1 teaspoon. For liquid with 100mg/5ml, give a dose of 5 ml. For chewable tablets that say 50mg/tablet on the label, give your child 2 tablets. For infant drops with 50mg/1.25ml on the label, give a dose of 3.75 ml. For liquid with 100mg/1tsp on the label, give a dose of 1 ½ teaspoon. For liquid with 100mg/5ml on the label, give a dose of 7.5 ml. For chewable tablets that say 50mg/tablet on the label, give your child 3 tablets. For infant drops with 50mg/1.25ml on the label, give a dose of 5 ml. For liquid with 100mg/1tsp on the label, give a dose of 2 teaspoons. For liquid with 100mg/5ml on the label, give a dose of 10 ml. For chewable tablets with a label that says 50mg tablets, give 4 tablets. For junior-strength tablets with labels that say 100mg tablets, give 2 tablets. For liquid with 100mg/1tsp on the label, give a dose of 2 ½ teaspoons. For liquid with 100ml/5ml on the label, give a dose of 12.5 ml. For chewable tablets with a label that says 50mg tablets, give your child 5 tablets. For junior-strength tablets with a label that says 100mg tablets, give 2 ½ tablets. For liquid with 100mg/1tsp on the label, give a dose of 3 teaspoons. For liquid with 100ml/5ml on the label, give a dose of 15 ml. For chewable tablets with a label that says 50mg tablets, give your child 6 tablets. For junior-strength tablets with a label that says 100mg tablets, give your child 3 tablets. For liquid with 100mg/1tsp on the label, give a dose of 4 teaspoons. For liquid with 100mg/5ml on the label, give a dose of 20 ml. For chewable tablets with a label that says 50 mg tablets, give your child 8 tablets. For a junior-strength tablet with a label that says 100mg tablets, give your child 4 tablets. Always make sure that you try to give your child Motrin with food to avoid stomach problems (5). If you are not sure how much you should give to your child, consult your pediatrician or any health care provider. Keep in mind that no child under 6 years of age should be administered Motrin, unless it has been prescribed by your doctor (6). You can give a mild dose of Motrin to a child who is over 6 years of age without any worry. Make sure that you follow all instructions given on the medicine’s label. When giving medicine to your child, remember to follow your doctor’s advice on the dosage. You should always consult your doctor before you give medicine to a child below the age of 5 years to reduce fever. This is to ensure that the fever is not a sign of a serious illness. The only exception is if your baby had just had immunization, as fever can sometimes occur as a reaction to them. You can give your baby medicine to reduce fever after immunizations. Motrin comes in tablets, liquid, concentrated drops and caplets. It is important that you carefully read the instructions on the bottle or box before you give tour child any medicine. The medicine comes in different products and concentrations for babies and children. For it to work well, you need to ensure that you give the correct Motrin dosage for children at the correct time. Remember that you should never alternate between Motrin and acetaminophen (another common fever-reducing drug) as there is a possible risk of overdose. There have been no studies that show that alternating between these medicines comes with more benefits. If you are giving your child Motrin for fever or pain, make sure that you do not give any other medicine for cold or flu that contains ibuprofen or acetaminophen. 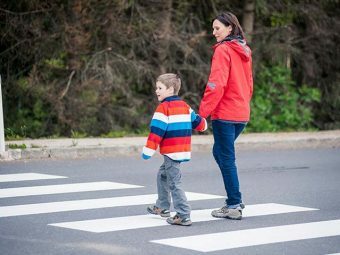 This could result in your child having too much of medicine. Give the medicine at intervals of 6 to 8 hours (7). You should not give your child more than 4 doses in a period of 24 hours. You should also remember not to give Motrin to your child for longer than 10 days unless it has been directed by your doctor. It is important to talk to a doctor before giving children Motrin if they have problems or serious side effects from taking fever reducers or pain relievers. They might be at a risk of stomach bleeding, especially if they suffer from stomach problems such as ulcers or heartburn, bleeding problems or take a steroid or blood thinning drug or other drugs that contain NSAID (8). You should talk to a doctor before giving your child this medicine if they have not been taking in fluids or have lost a lot of fluid as a result of diarrhea or vomiting. You should talk to your doctor before using this medicine if your child has asthma, heart disease, high blood pressure, kidney disease, liver cirrhosis or is taking a diuretic. You should talk to a doctor or pharmacist before using Motrin if your child is under treatment for a serious condition or is taking any other drug. Ibuprofen can cause a severe allergic reaction, particularly in those who are allergic to aspirin. Symptoms may include wheezing or asthma, facial swelling, hives, blisters, rashes, redness of the skin and shock (9). If your child experiences an allergic reaction, you should stop using the medicine and seek medical help immediately. Motrin contains an NSAID which can cause severe stomach bleeding in some patients (10). As mentioned earlier, the risk of such bleeding is higher if your child has had bleeding problems or stomach ulcers, takes a steroid or blood thinning drug or takes other drugs that contain an NSAID. There is an increased chance of stomach bleeding if your child takes more Motrin or for a longer period than directed by the doctor. If your child takes more of the medicine than directed or takes it for a longer period than directed, it increases the risk of heart attack or stroke (11). You cannot always anticipate the side effects. However, if any side effects develop or if you see any changes in their intensity, you should talk to your doctor immediately. It is only your doctor that can determine if it is safe for your child to continue to take the medicine or not. Since it is one of the most common over-the-counter painkillers, ibuprofen overdose is not uncommon (12). This is why it is important to be careful when giving children Motrin and to always only use the medicine as directed by your doctor. An overdose can be prevented when you ensure that you follow instructions carefully at all times. In the case of an overdose, the first thing that you should do is call emergency health services. Vomiting can be beneficial, but this is not recommended nowadays as there is a high risk of seizures and suffocation. Ibuprofen poisoning does not have a specific antidote. One effective remedy is activated charcoal, which is used to absorb the ibuprofen in the stomach and prevent it from entering the blood (13). In cases of extremely high and life-threatening doses, it may be necessary to perform a gastric lavage, commonly known as stomach pumping, so that the stomach’s contents, including the drug, can be pumped out. Renal function should be monitored as well. Because ibuprofen is a weak acid and is expelled from the body through the kidneys, forced alkaline dieresis is a procedure that can have a beneficial effect in the case of an overdose. In case of acidosis, alkalizing agents can be of immense help. This is a symptomatic treatment that aims at removing the drug from the body and resuscitating the patient immediately. The chances of recovering from an ibuprofen overdose are high if treatment is not delayed. However, nothing is better than prevention so make sure never to give children more than the prescribed dosage or recommended doses when using medicines with ibuprofen such as Children’s Motrin. Using Children’s Motrin chewable tablets carefully is important and should be used as directed by a health care provider. You should also make sure that you check the medicine’s label for proper dosing instructions (14). You should carefully read the Medication Guide, an extra patient information sheet that comes with Children’s Motrin chewable tablets. You should make it a point to read it every time you get the tablets refilled at the pharmacy. Children’s Motrin chewable tablets can be taken with or without food. If it upsets your child’s stomach, give the medicine with food. However, keep in mind that taking it with food may not reduce the risk of bowel or stomach problems such as bleeding and ulcers. If stomach upset persists, you should talk to your doctor or pharmacist. Always make sure that your child chews the tablets well before swallowing. If your child is taking Children’s Motrin chewable tablets regularly and has missed a dose, make sure to give the medicine as soon as possible (15). However, if it is almost time for the next dose, it is best to skip the missed dose and return to the regular schedule. Remember that you should never give children two doses at once. If you have any questions about how to use Children’s Motrin chewable tablets properly, you should talk to your pediatrician. It is important to know exactly how to use this medicine and never give it to children without having the proper information. Children’s Motrin chewable tablets may cause drowsiness or dizziness. If your child does not get relief from the medicine within 24 hours, contact your doctor. The same applies if your child’s fever or pain gets worse or lasts for more than 3 days. Different brands of Children’s Motrin chewable tablets may have different dosage instructions for children, and hence, it is important to read the labeling carefully and thoroughly every time you buy the medicine. 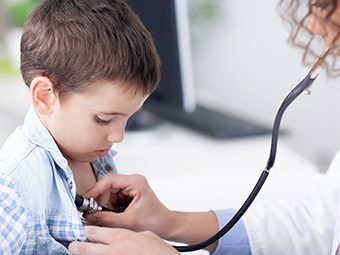 You should follow the doctor’s instructions and if you are not sure how much to give your child, make sure that you check with your doctor or pharmacist. Always check the expiration date on the packaging to ensure that it is not expired. Always store Children’s Motrin suspension and chewable tablets at room temperature and keep away from light, moisture and heat. Do not store in the bathroom. Lastly, keep them out of children’s reach. Make sure that your child drinks plenty of fluids. Fever and dehydration can often come together, so it is important for children to drink lots of water (16). Keep sodas away as the caffeine will only cause more dehydration. If your child is asleep, do not wake them up to give them a fever reducer. If your child needs a liquid medication, keep in mind that you should use only one formulation in your household. To prevent accidental overdose, make sure that you store all fever reducers such as Motrin out of the reach of children and always use an accurate measuring device when you dispense the medicine to your child. Always remember not to give your child Motrin and a cold or cough medication that contains ibuprofen at the same time. Give your child a bath with lukewarm water. However, if they get the chills, get them out of the bath as chills can cause the temperature to rise. 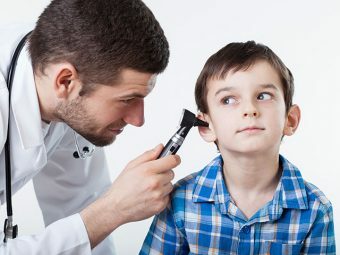 Call your doctor if your child has a temperature over 100.4 degrees Fahrenheit or if it is also accompanied by symptoms such as severe headache, ear pain or sore throat, stiff neck, repeated diarrhea or vomiting, extreme drowsiness or looks visibly very ill. When it comes to medicines like Motrin, it is important for parents to be educated about proper dosage, use and storage. According to researchers, when children have fever, parents and caregivers should concentrate on their overall comfort and well-being. 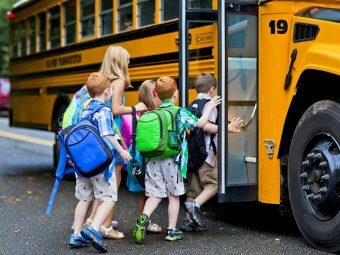 They should also monitor children’s behavior carefully to check for any changes in temperament or activity that may be an indication of a serious illness (17). When it is used in appropriate doses based on your child’s weight, Motrin is safe and effective as a medicine for treating symptoms of fever in children. This drug is highly effective and not just treats the fever but also reduces symptoms like aches and pains in a child. Often children cannot explain the pain that they suffer from and Motrin can be safely administered in low doses to a child who has fever and shows symptoms of ache, pain and fatigue. However, do not go overboard and use the drug to put a rest to your child’s crankiness or to put him to sleep. It is important for you to remember that giving your child this medicine without being sure of dosing can be extremely dangerous. Any questions should always be directed to your pediatrician or health care provider. As mentioned earlier, ibuprofen is one of the most common OTC medications and overdoses occur quite often (18). By following the directions given by your pediatrician, you can use Children’s Motrin safely for your child of age 4 to 12 years, and use it to effectively treat fever, aches and pains and swelling. With appropriate use and dosing, you can give your child the much-needed relief from various symptoms and ensure that they get well as early as possible. 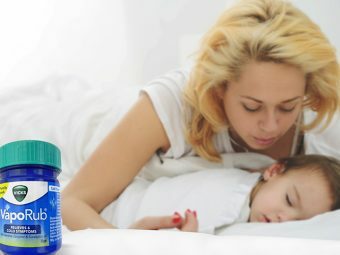 Is Nyquil Safe For Your Kids?